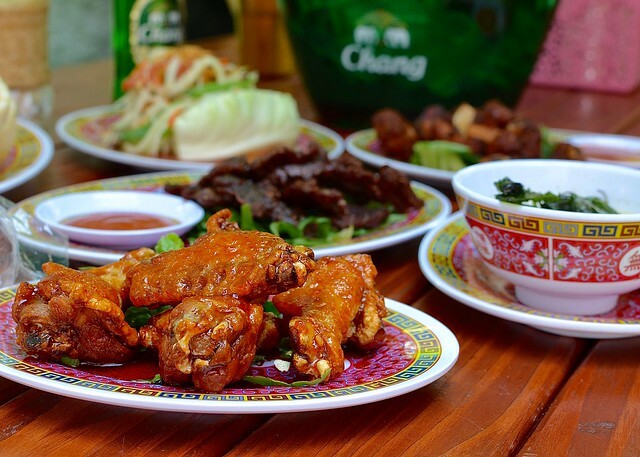 The Next Best Thing to Brunch in Bangkok? Brunching at So Long, Hi. 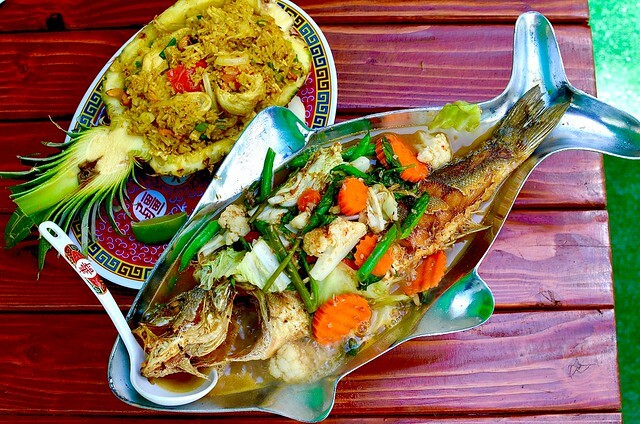 I will resist every urge in my being to write anything punny when describing So Long, Hi, the super casual, oasis of tasty Thai street food and dishes in Downtown L.A.
Hello, phat pants! Well, that didn't take very long. No, really, when you chow down at So Long, Hi's Thai Family Picnic, basically the restaurant's version of a family-style, Thai brunch where you sit elbow to elbow with fellow diners as you reach for Thai ribs and wings and other all-you-can-eat, off-menu surprises exclusive to the picnic, served omakase-style at the chef's whim, like a great d.j. reading the dance floor. So Long, Hi is owned and operated by on-fire restaurateur Dave Tewasart (Side Chick, Sticky Rice, Monkey Bar, Matcha Matcha, RBTA) with Bryan Sharafkhah-Sharp (White Guy Pad Thai) behind the wheels of steel, er, wok of steel. Your stomach(s) is in very good hands. So Long, Hi's Thai Family Picnic happens each first Sunday of the month. The next feeding frenzy takes place in the back of the restaurant on the airy patio July 2nd, from 1-5pm, with a 3-hour limit (that restriction was definitely written for me!). It's difficult to predict what will be offered, but at the inaugural picnic at which I stuffed myself, we ate Thai jerky, pork spare ribs, papaya salad, pineapple fried rice, pad thai, "crying tiger" steak, whole grilled fish served on a fish-shaped platter and more. (Fish head, so underrated.) $25 gets you a seat to this feast. One of the best deals in town! 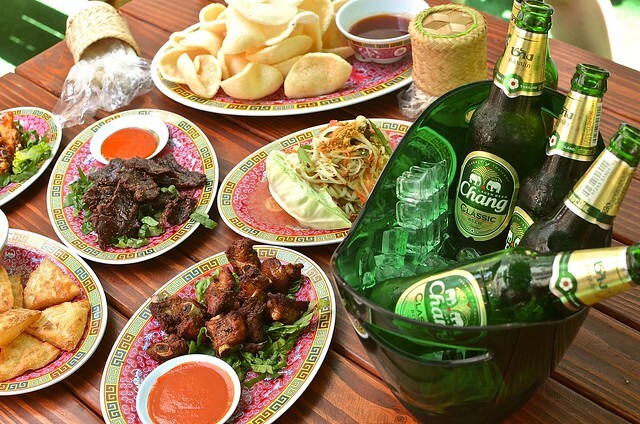 To drink: Buckets of 5 Chang beers for $20, soju-based Mai Tais, spicy chili margaritas and Bangkok Mules at our particular brunch (separately charged). For this deal, you need to reserve in advance with tix at Eventbrite, OR, frugal tip, call/visit the restaurant to avoid Eventbrite processing fee. So Long, Hi's Thai Family Picnic is limited to 50 people, so get your spot before it's sold out. 25 bucks for all that Thai yum in the Cali sun, it's a fine way to spend the first Sunday of each month.